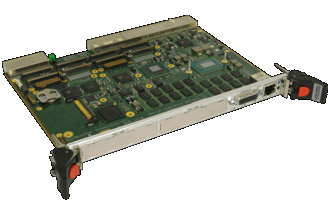 June 2012 – Concurrent Technologies introduces their latest high performance 6U CompactPCI® processor board utilizing 3rd generation Intel® Core™ processors. The PP 91x/x1x is a single slot air-cooled Single Board Computer (SBC) expanding on the success of the previous generations of 6U CompactPCI® SBCs, allowing customers to easily migrate to the latest generation of Intel® Core™ processors while reaping the benefits of significantly improved performance per Watt and extending the lifecycle of already deployed solutions. The 3rd generation Intel® Core™ processors, based on 22nm process technology, provide increased performance for an equivalent power budget when compared to the 2nd generation Intel® Core™ processors. This allows the PP 91x/x1x to excel in applications that are thermally constrained but still require high performance. The PP 91x/x1x supports the dual-core and quad-core 3rd generation Intel® Core™ i7 processors along with up to 16 Gbytes of ECC SDRAM. The 3rd generation Intel® Core™ processors offer enhanced graphic capabilities resulting in virtually double the graphics performance of previous architectures offering cutting edge technology for tomorrow’s applications. 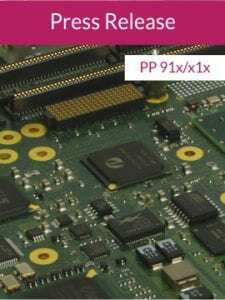 Additionally, the PP 91x/x1x integrates the newly released Mobile Intel® QM77 Express chipset which provides enhanced connectivity. Complimentary to the performance advantages provided by the 3rd generation Intel® Core™ processors, the PP 91x/x1x offers USB 3.0 connectivity which allows for faster data delivery. Coupled with up to 6MB of on-die cache and a faster memory controller, providing a peak bandwidth of 25 GB/s, the 3rd generation Intel® Core™ processors make the PP 91x/x1x extremely well suited to high throughput applications. The PP 91x/x1x maintains both rear and front IO compatibility with the previous generation PP 81x/x1x. The board can operate as a system controller board, a peripheral board or as a satellite board (blade). Support is also provided for PICMG® 2.16 (Ethernet fabric), PICMG 2.9® (IPMI) and PICMG® 2.1 (hot swap); the CompactPCI® backplane interface operates at 33/66MHz PCI™ signalling speeds. The PP 91x/x1x addresses today’s demanding applications from medical to military and is designed to scale from commercial temperature grade 0°C to +55°C (N-Series) through to extended temperature grade -40°C to +85°C (K-Series).Operating systems currently supported are Windows® 7, Windows® XP, Windows® Embedded Standard 7, Linux® and VxWorks®.